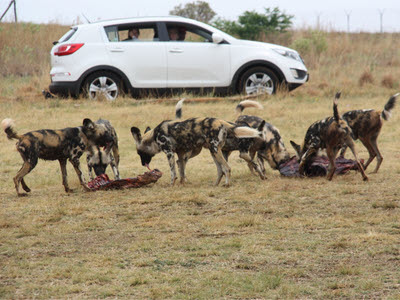 The pack of Endangered Wild Dogs and the coalition of Cheetahs fed when the prides of Lions are fed. 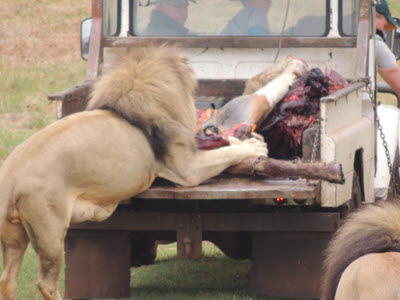 Feeding portions (carcasses & meat) are systematically measured and fed from a vehicle to the pride, pack and coalition. The Brown & White pride of Lions housed separately and fed on alternative days according to a systematically measured schedule. A demonstration with a professional snake handler demonstration a variety of snakes. 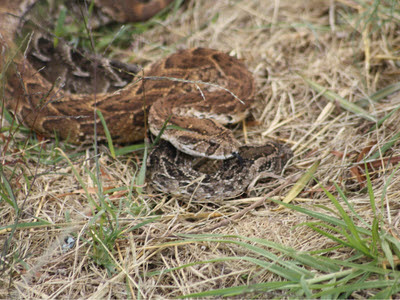 The demonstration is an enlightening experience on what the role and behaviour of snakes involve. The demonstration takes place @ 14h30 at the pavilion next to the pygmy hippo pools. Our crèche staff explains some of the behaviours of one of Africa’s most iconic animals – The Cheetah. 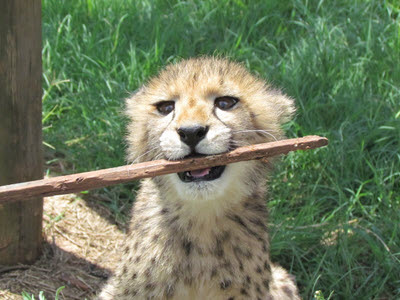 On days when the Cheetah is able and willing it might chase a lure demonstrating the intense speed and agility it has. 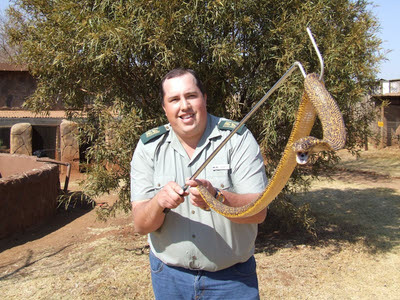 The talk happens @ 15h00 next to the Snake Pit and pavilion. Rhino & Lion Nature Reserve built a nursery / crèche for all young endangered and orphaned animals situated at the Kiosk day visitor area. A picture can be taken with the cubs or pups at an extra charge. Please enquire at the Créche on the availability of species of animals. Please note that the hippos are in an enclosure opposite the entrance (view map). 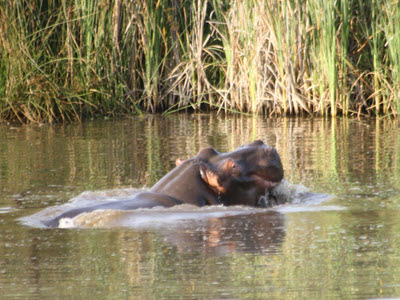 To view them, visitors are required to park inside the Reserve and walk across the road to the hippos and breeding centre. The walkway is well fenced off with cables and leads to wooden platforms which afford excellent viewing of the hippo pools. Normal access times apply. Tickets can be obtained at the Neck & Deck Café and the Thatch Café. Enclosures erected along a fresh water stream houses different species of swans. Take gentle stroll winding through the enclosures and rest on the benches provided overlooking a small fresh water dam. Open from 09h00 until 16h00 Tuesday to Sunday (Mondays as per Website). Close to the Animal Crèche is the Snake & Reptile Pit where shows are conducted, winter conditions permitting due to hybernation. These shows are very educational and the professional handlers handle from brown house snakes to puff adders and the like. Valuable information concerning possible snake or reptile bites or other reptile related injuries can be obtained from these shows. Visit our snake / reptile park and view the snakes / reptiles with additional educational written information at each enclosure. 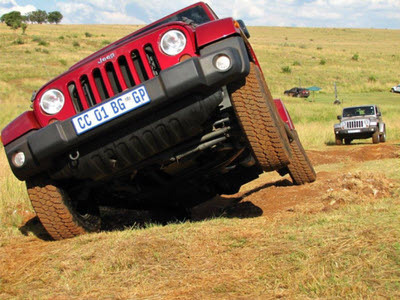 Test you driving skills on some sections of the demarcated 4X4 routes and Loop roads (view map). 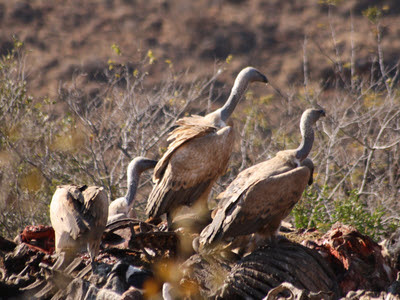 The local vulture colonies have been decimated in recent years, due mainly to poisoning. We supply carcasses to the vultures which come mostly from a colony living in the Magaliesberg. 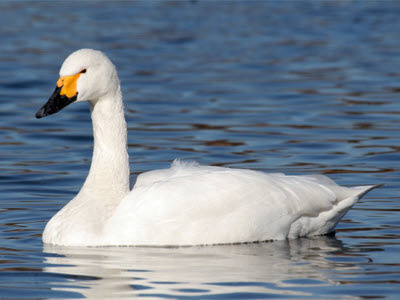 They are often joined by a variety of carrion eating birds and are a delight for bird watchers. Please adhere to the rules when entering the hide. Park close to the hide and be quiet at all times whilst inside. 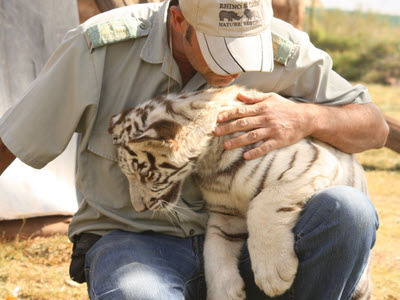 This forms part of our Rhino & Lion Wildlife Conservation program as do the the Pygmy Hippos and Clouded Leopards. 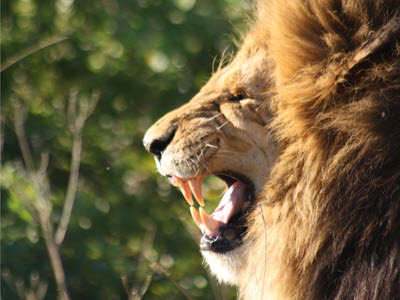 Take a drive through the Predator Enclosure and search for the lions in the brown lion and white lion enclosures. 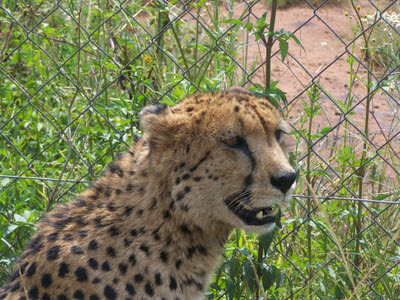 Visit the Wild Dog enclosure and Cheetah enclosures to view the animals and their behaviours in their natural relaxed state. 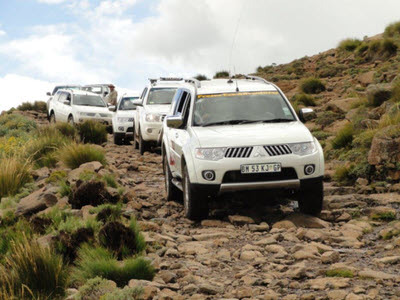 The Reserve is a Self Drive facility with fairly to well maintained roads accommodation all types of small passenger vehicles. 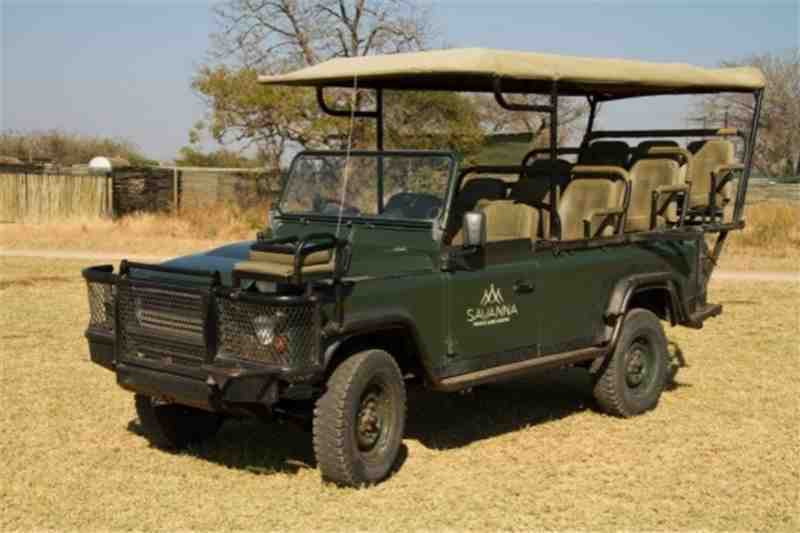 Use the comfort of your own vehicle and preferences to drive through the Reserve and Predator enclosures and view the animals in their habitat. Ed Hern’s African Garden is devoted exclusively to (South) African fauna and flora. 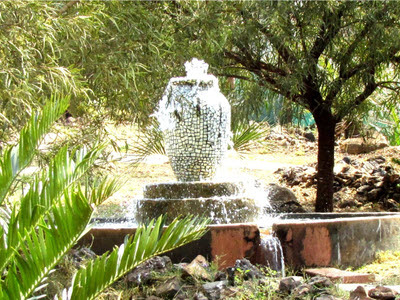 The Garden features numerous different cycads, aloes, and other African plant life painstakingly placed in and amongst the dolomite rock formations that are indigenous to the Cradle of Humankind world heritage site. The African Garden offers visitors the rare opportunity to view a multitude of small antelope species, including Klipspringer, Suni and Blue Duiker, along with birds like the Blue Crane and Ground Hornbill. The small splash pool is available for all to cool down and for the children to enjoy under adult supervision only. 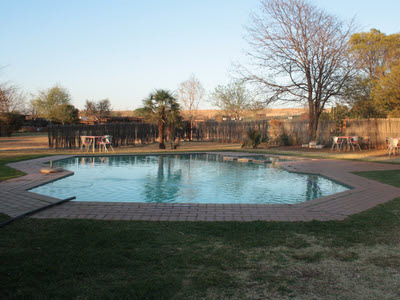 A small section forming part of the pool can be used for toddlers under adult supervision only. 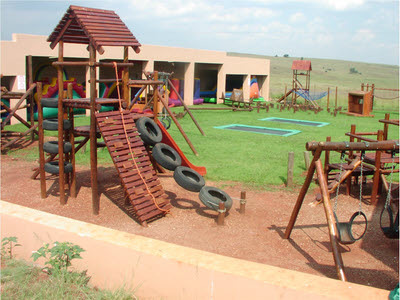 The Reserve established a children's playground and party venue where your child can experience an unforgettable birthday. Children can also enjoy; obstacle courses, trampolines, swings, sandpits, jumping castles and jungle gyms. Restaurant open on weekends and public holidays. The Day Visitors Centre / Kiosk is a protected and fenced in area for our visitors. A swimming pool to keep cool and a jungle gym for the kids. 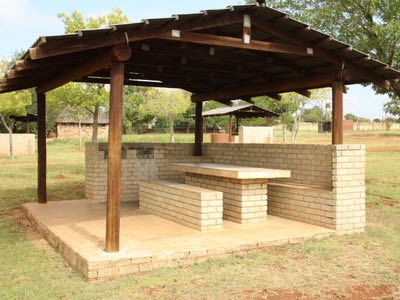 Bring your own picnic basket and make use of our Picnic & Braai areas. Feel the rush of adrenaline as you approach the ultimate predator in our open game viewers under the watchful eye of our experienced guides. Drives can be done to suite your requirements during day light hours or for the nocturnal lovers a night drive where the rush will keep you warm. 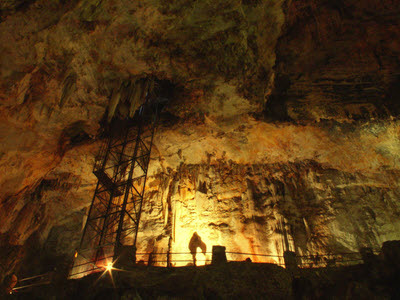 This is the 3rd largest chamber is South Africa, the largest being Cango Caves and second largest Sudwala Caves. The entrance to the cave is down a flight of stairs with 87 steps at a 45 degrees angle dropping 22 meters below the surface. From there an elevator takes visitors a further 18 meters into the cave. 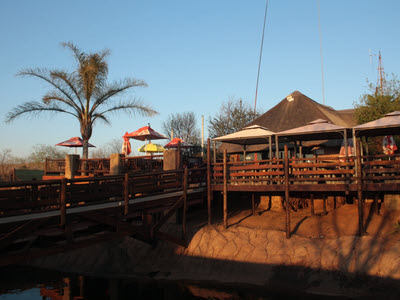 The Reserve features 5 restaurants at key locations: the Neck & Deck Cafe, the Boma Restaurant, the Playpark Restaurant, the Wondercave Restaurant and the Thatch Cafe. Variety of A La Carte menus’ ranging from Breakfasts, Steaks, Burgers, Fish, Waffles, Pizza’s Meat Baskets and more all at different restaurants. 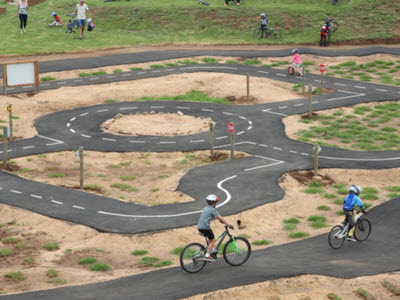 A great experience for the whole family with a variety of tracks to suit all cyclist skills and abilities. The bike park includes facilities for renting equipment on site to enjoy the different tracks. Also available are ablution facilities, a kiosk for snacks and the Thatch cafe with professional baristas. Enjoy feeding a relatively tame giraffe and experience the stature of this beautiful tall creature. 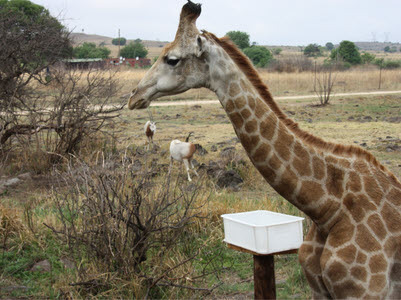 Feeding buckets can be bought at the Neck & Deck and the giraffe will at it’s own time and leisure enjoy the food you provide if it feels the need to do so. Take pictures on the Deck with the magnificent animal in your background. 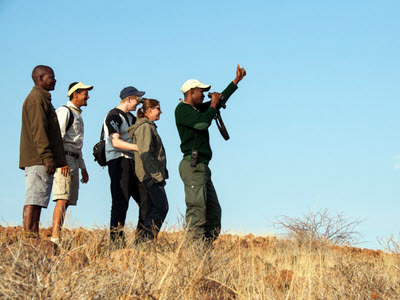 Experience a guided walk at the Rhino & Lion Nature Reserve in a fenced-off area of the Reserve, during which you may expect to see several different species of antelope, and other wildlife, plants and birdlife. The +-90 minute leisurely, informative gentle stroll will also educate you through experienced guides of bird calls, trails, insects, plants, history etc. with everything taking on more significance and giving you a much deeper understanding of your environment.